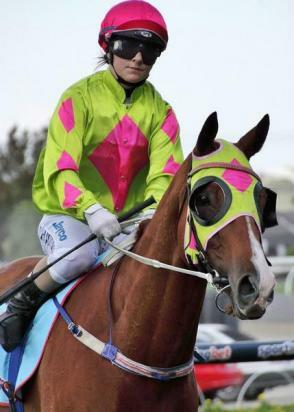 Jarrod McLean will tomorrow go in search of another Spring Racing Carnival Cup success at Ballarat with Brad Rawiller. The Warrnambool trainer and tireless jockey combined to win last year’s $200,000 Listed Ballarat Cup with King Diamond and tomorrow they will join forces with Smarty Mac in the $80,000 City of Ballarat Spring Cup. Ballarat only landed the meeting last week, when it was announced Werribee would not be ready to host its scheduled Cup meeting, and McLean said the availability of Rawiller was a key in him targeting the 2000-metre event in preference to last Sunday’s Ararat Cup. “We had him in at Ararat on Sunday, but opted to wait for Ballarat because the track suits and I knew Brad Rawiller could be engaged,” McLean said. “He’s been a key to him his last couple of wins. Smarty Mac, a six-year-old son of Akhadan, headlines the field for the benchmark 78 event that is the feature of an eight-race program. He will carry 60kg in the event that also includes consistent Darren Weir-trained performer Bia Diamond (59kg, barrier one), the in-form Hannaford (57.5kg, 11), stablemate Nicastro (57kg, 10) and Bendigo Cup also-ran Umatic (55.5kg, four). Smarty Mac, a winner of six of his 27 starts, hasn’t saluted in five starts this campaign, but McLean is confident he can go one better than his last-start narrow second at Moonee Valley if the ground stays firm. “He disappointed at Warrnambool (when fifth, beaten 8-3/4 lengths) on the heavy track but back on dry at Moonee Valley he was unlucky not to win in what was a good effort,” McLean said. It is the opposite for seven-year-old Testa Rossa gelding Nicastro, who needs a wet track to show his best. Unless the Ballarat track is rain-affected, he will be scratched with Saturday’s $25,000 Royal Mail Hotel William Thomson Dunkeld Cup (1800m) a possible back-up option.